Sheathed under a lush carpet of creepers, this six-bedroom villa is located close to the beach and is an ideal stopover for beach bums and large families. 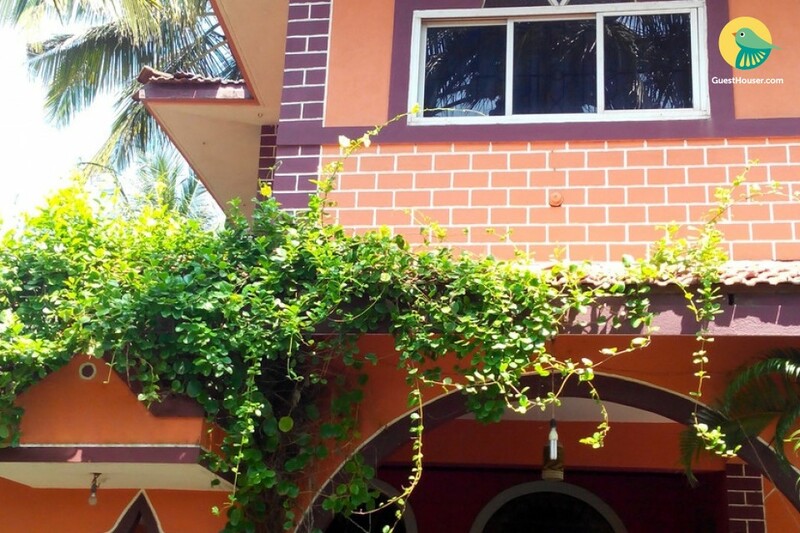 A quick 1-min walk away from the beach, this tangerine villa with its faux brick walls sits rather remarkably against the rich tropical landscape of Goa. Conveniently prepare your own meals as the home-kitchen comes fully equipped with basic utensils and a cooktop to facilitate it, while you can shop for groceries in the market located close by. If you feel too lazy to cook, then there are ample eateries around this place where you can relish delectable Goan delicacies. Each bedroom is well-appointed with a double bed that can be separated for a twin accommodation. 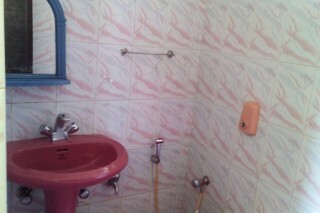 The bathrooms are well-tiled and equipped with modern sanitary ware. 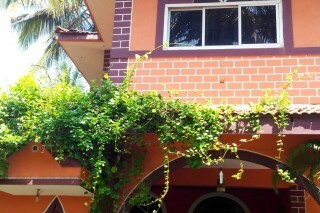 The villa offers air-conditioned rooms that have been aesthetically decorated to avoid unnecessary clutter. 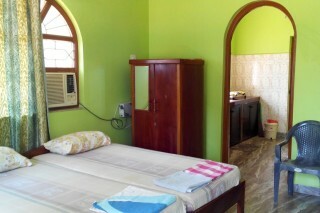 The rooms have a restful bed with wardrobe and dresser. All rooms have attached bathrooms. Essential toiletries, bath linen and hot water are available at all times of the day. The beds are also provided with clean linen. 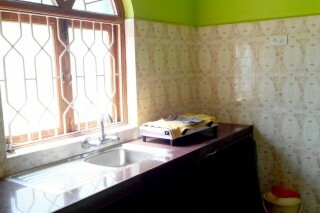 There is a kitchen on the premises where guests can indulge in some light cooking. 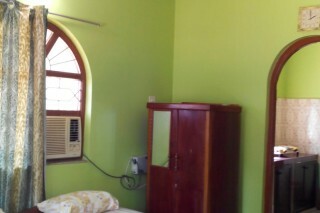 The room also has a television for some in-house entertainment.